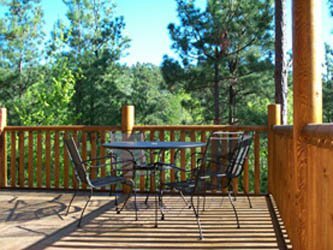 Beavers Bend Log Cabins offers the a variety of luxurious cabins located just minutes from Broken Bow Lake and Beavers Bend State Park. 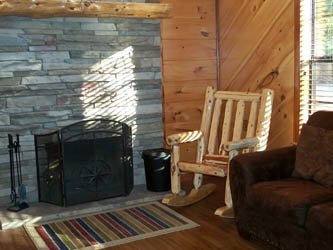 The cabins can sleep anywhere from two to 12 people and come equipped with all the comforts of home. 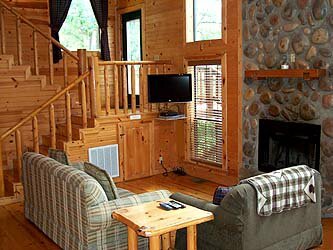 Each cabin is located on private acreage and is locally owned and maintained. You'll find unique touches at each cabin, like the deep soaking cast iron tub at Burnt Whiskey, the private stocked fishing pond at Spokane, a panoramic view at Lookout Lodge and two master suites at Autumn Point. 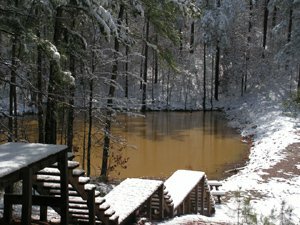 Water's Edge, Shaui Chukka, Tranquility, Bear's Den and Redbud Retreat are all set on 40 private acres allowing guests to hike, bike and fish on the property, while a stay at Seclusion and the Bunkhouse treats guests to true seclusion on 20 private acres. 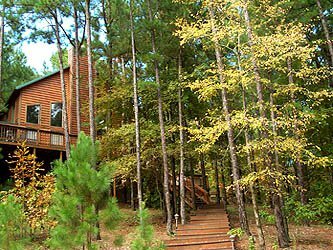 Cabins: Burnt Whiskey (1 BR, sleeps 2); Spokane (1 BR + loft, sleeps 4); Lookout Lodge (1 BR + loft, sleeps 5); Autumn Pointe (2 BR + loft, sleeps 6); Water's Edge (3 BR, sleeps 8); Shaui Chukka (3 BR, sleeps 8); Tranquility (3 BR, sleeps 8); Bear's Den (3 BR, sleeps 8); Redbud Retreat (3 BR, sleeps 8); Seclusion (3 BR, sleeps 8); and the Bunkhouse (with Seclusion, sleeps 4). $185 - $325 per night. While every effort has been made to ensure the accuracy of the pricing listed above, prices are subject to change without notice. 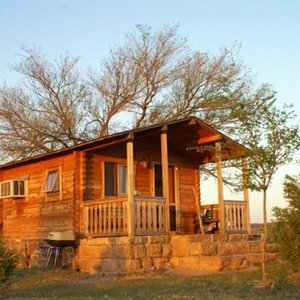 Cabins are in various locations around the Broken Bow area.